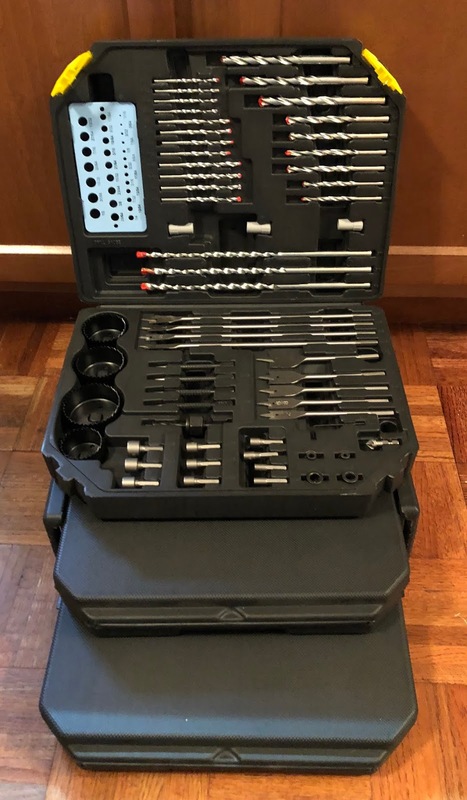 If there's a man in your life that you're shopping for this year for Father's Day that enjoys working with tools then I have the gift for you. It's the Bit For Every Occasion from Hammacher Schlemmer. 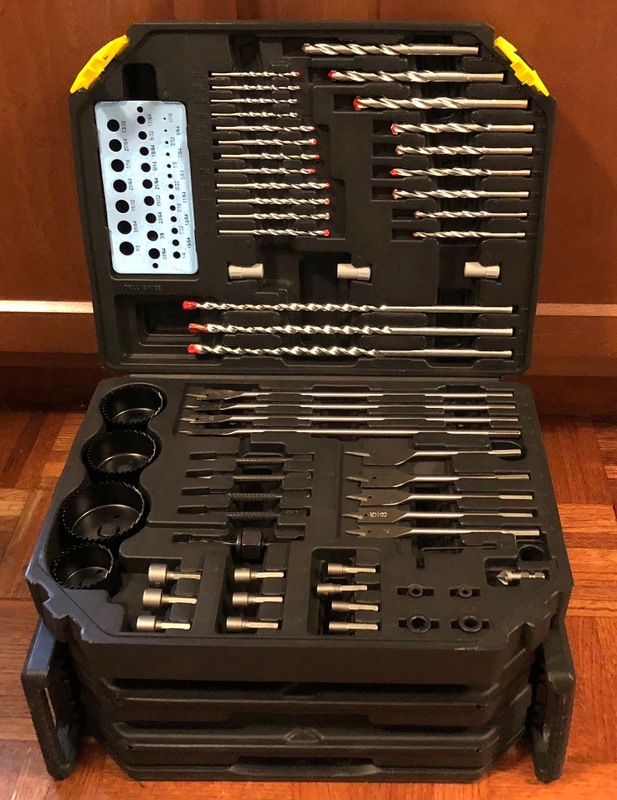 It contains 300 bits for tackling any household repair from simple tasks to intense week-long projects. The well-organized portable case has a labeled slot for each component and opens to reveal removable trays. It even features two latches to keep it closed when you're carrying it via the handle on the top making it portable. 50 H.H.S. 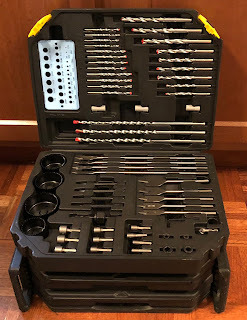 drill bits from 3/64" to 1/2"
10 nut drivers from 5/32" to 1/2"
33 wood boring drill bits from 5/32" to 1/2"
24 masonry drill bits from 5/32" to 1/2"
My husband was in awe when I showed him this set. He said it was perfect and had everything he could ever need. We both agreed our favorite part was that it was so compact for as many pieces as it has included. The bottom two drawers pull out then unfold to reveal their contents that are kept safe during storage. This is definitely the ultimate Father's Day gift for sure!